One of my favorite slow cooker (crock pot cooking) cookbooks is the "Easy Everyday Slow Cooker Recipes" by author Donna-Marie Pye and published by Robert Rose. This cook book has 200 easy-to-follow slow cooker recipes and tons of mouth-watering photos. 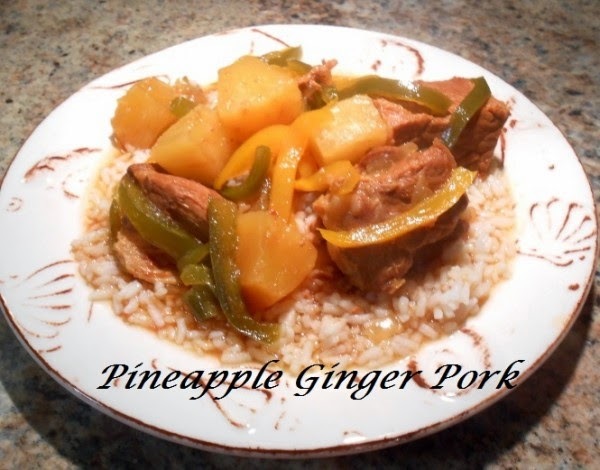 One of our favorite recipes in the book is the Pineapple Ginger Pork on page 283. Here is her recipe. Every time I make this, my family gobbles it up and wants more! In a bowl, toss together pork, half the cornstarch, half the soy sauce and the sesame oil. Let stand for 30 minutes. Transfer to the slow cooker. 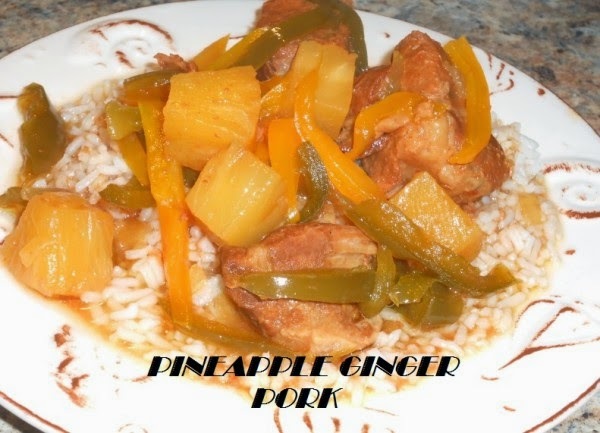 In a bowl, combine together the onion, garlic, brown sugar, ginger, the remaining cornstarch, soy sauce, pineapple juice, chicken broth, ketchup, rice vinegar and hoisin sauce. Pour over pork. Cover and cook on low for 6-8 hours or until pork is tender. Add pineapple tidbits, red pepper and green pepper (we substitute and always use a yellow bell pepper instead of a red one). Cover and cook on high for 15 minutes or until peppers are tender-crisp. Serve over freshly cooked rice or alongside your favorite rice. Enjoy! I love the Asian flavors in this recipe. I jut might add fresh ginger and/ or sesame seeds to it.